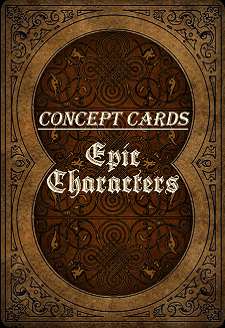 Concept cards are a GM and Storytelling tool for when you plan for A,B and C and your player's choose 7. 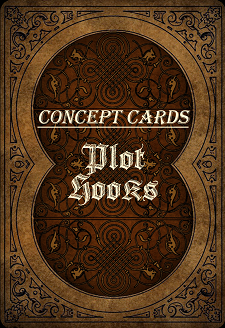 They help fill in the gaps when your players go off course, or start exploring a small detail in more depth (e.g. 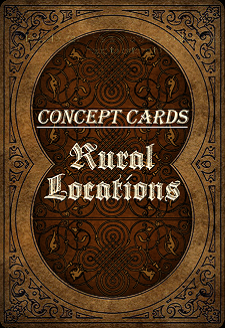 a town for which you didn't have time to write up all the people, buildings and plot hooks for yet). 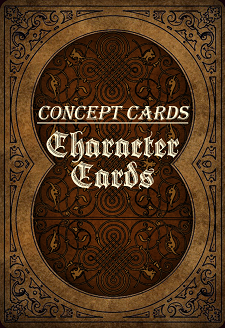 There are eleven decks of 56 cards each, for fantasy settings ranging from low fantasy to epic. 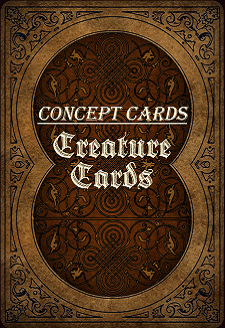 The six base, lower fantasy, decks consist of the standard 52, 2 jokers and 2 special cards, generally order and chaos - although the location decks instead have an artwork card and light/darkness. 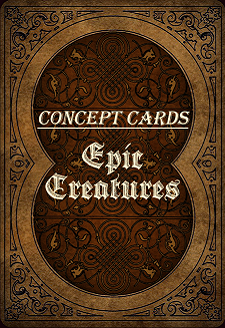 The five epic decks contain higher fantasy elements, such as gods, archfiends and Dimensional Rifts. 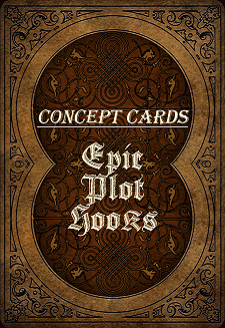 Each of these decks, aside from Epic Locations, contains 22 major arcana, 4 knights, 24 norse runes and 6 elements (the classical four plus light and dark). 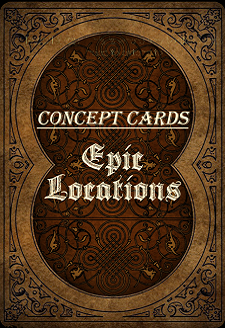 Epic Locations is special as it is split into two halves, one tied to Urban Locations and the other to Rural Locations - each half contains the 22 major arcana and four knights, while they share 4 elements. 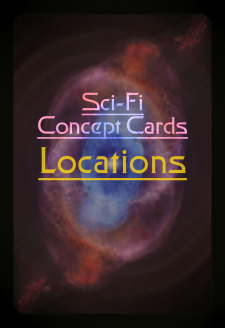 Each suit represents a different feature of the concept detailed on the card, i.e. 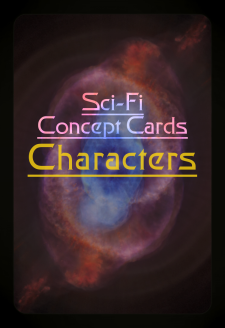 diamonds in the character is physical traits, while in locations it represents treasues. All four suits are found on every card so to give you a well rounded concept, though the ordinal value (found in the top left) is the one that most defines the idea. Jigsaw Fantasy is a series of small interconnected setting elements, designed to slot into pre-existing worlds or click together with each other to build a piecework campaign setting. These setting elements include people, places, cultures and races, among other features. Each Jigsaw Piece has at least two potential points of connection called out - with possible links drawn from many established settings as well as our other Jigsaw Pieces and Concept Cards.